Barcelona has Gaudí, Chicago has Frank Lloyd Wright and Glasgow has the pioneering Art Nouveau of Charles Rennie Mackintosh. Glasgow is home to a world class collection of Mackintosh buildings, drawings and designs open for visitors to explore across the city including: Kelvingrove Art Gallery and Museum, Mackintosh at the Willow, The Lighthouse, Mackintosh House at the Hunterian Art Gallery, Glasgow Art Club, Scotland Street School Museum and Mackintosh Queen’s Cross. Meanwhile, the stunning House for An Art Lover in Bellahouston Park was designed by Mackintosh in 1901 for an architectural competition that was eventually realised in 1996. Charles Rennie Mackintosh venues and attractions in Glasgow have recorded more visitors in 2018 than ever before. More than 1.1m people visited Glasgow Mackintosh venues – which include The Lighthouse, Scotland Street School Museum, Mackintosh Queen’s Cross, House for an Art Lover and Mackintosh House at The Hunterian, University of Glasgow amongst others – between January and November this year; reflecting an 8% increase in footfall compared with the same period in 2017 and a 30% increase on 2016. Born in Glasgow on 7th June 1868, Mackintosh is globally regarded as one of the most creative figures of the 20th century and a pioneering influence in Europe’s art nouveau movement. 2018 has been a milestone year for Mackintosh heritage partners in the city and beyond, with Mackintosh 150 – a year-long programme of events and exhibitions – celebrating the 150th anniversary of the birth and incredible architectural, artistic and design legacy of one of Scotland’s great cultural icons. 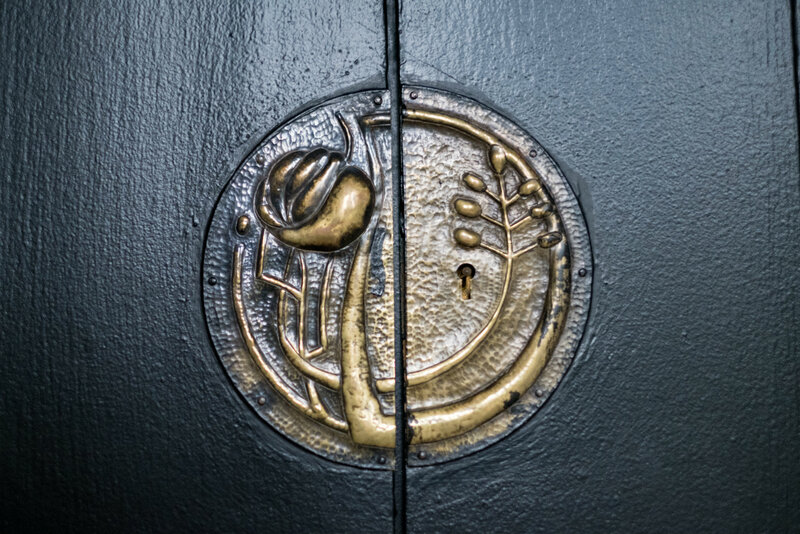 The figures have been welcomed as a strong indicator of the success of Mackintosh 150 and the enduring appeal of Mackintosh in Glasgow following a difficult year for the city. In June, a devastating fire ripped through the Mackintosh Building at The Glasgow School of Art for a second time in four years, forcing the school to have to close its popular visitor centre and Mackintosh walking tours programme. As well as commemorating his remarkable achievements, Mackintosh 150 has been the springboard for the implementation of Glasgow’s ambitious new 10-year Mackintosh Plan to 2028 – which seeks to promote and recognise Mackintosh as Scotland’s national architect – with the leaders of the city’s Mackintosh buildings, collections and organisations coming together to form a senior operations group, managed by Glasgow Life. 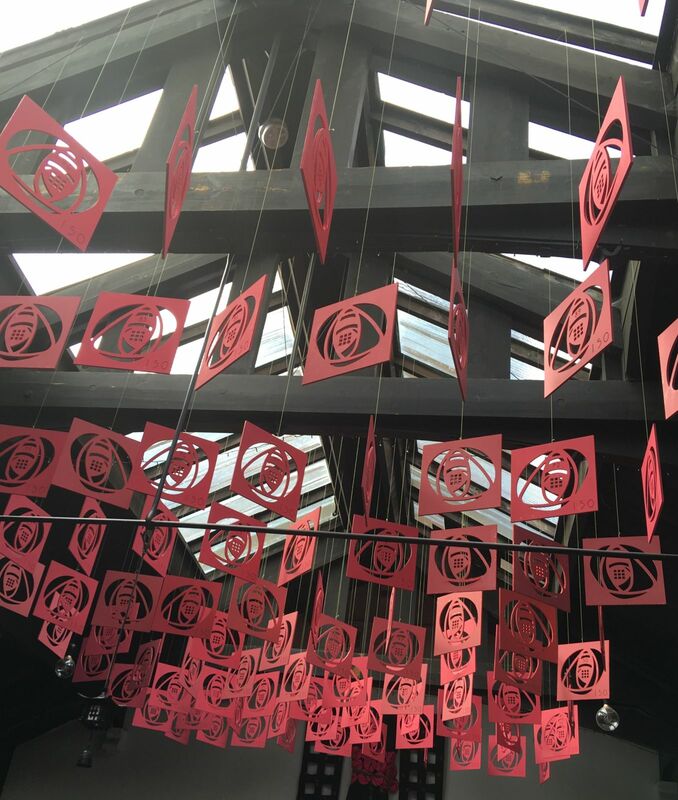 The plan aims to safeguard Mackintosh’s legacy for future generations; inspire more young people to take an interest in art and design; and promote his unique portfolio to more international visitors, enabling the economic contribution of tourism in the city to grow. With a target of attracting one million more overnight leisure tourism visits over the next five years, the significance of Mackintosh is one of the principal drivers of Glasgow’s Tourism and Visitor Plan to 2023. Mackintosh 150 has been co-ordinated by Mackintosh heritage partners from across Glasgow and beyond, who came together to create a year-long programme of exhibitions, events, seminars and tours throughout 2018 marking the 150th anniversary of the birth of Charles Rennie Mackintosh. 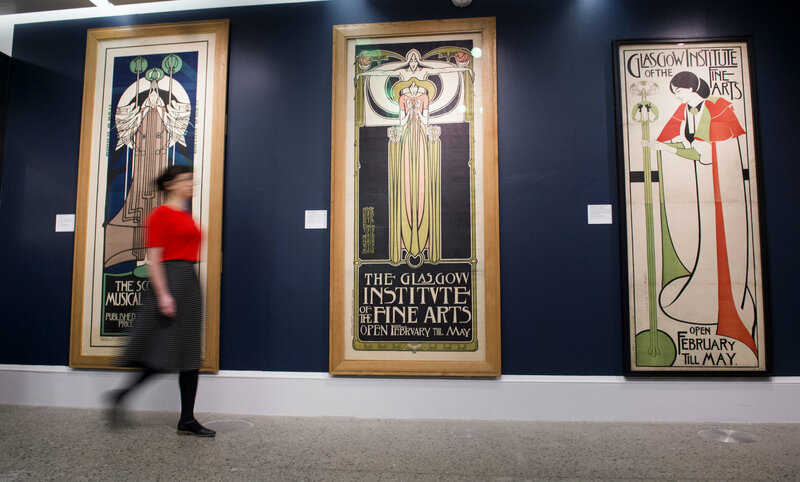 The Glasgow Style represented a distinctive style of decorative design produced by Glasgow artists and designers working from around 1890 to 1920 and included Margaret Macdonald, Frances Macdonald and Herbert McNair who, together with Mackintosh, were known as The Four. The fully restored Tea Rooms and the new Visitor Centre officially opened as "Mackintosh at the Willow" in September 2018. The ‘A’ listed Willow Tea Rooms Building is recognised internationally as the only surviving tea room designed in its entirety by Charles Rennie Mackintosh in 1903. It is recognised as one of the finest examples in the world of a complete Art Nouveau scheme. 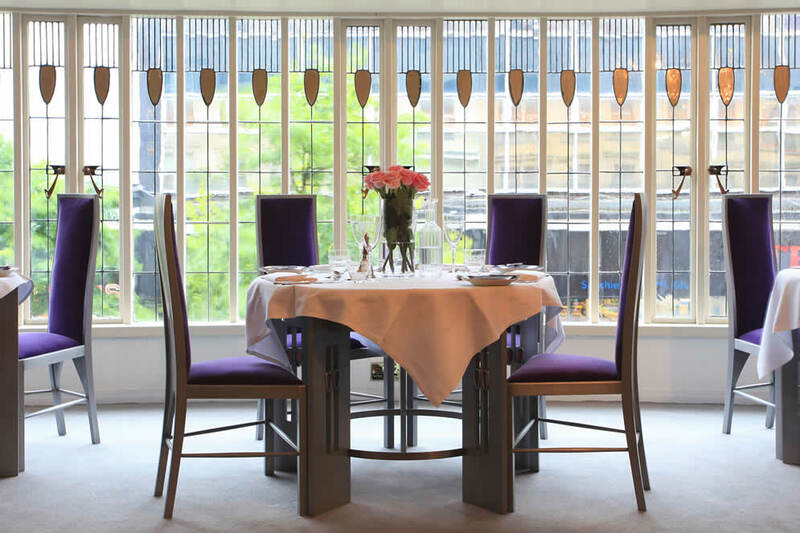 Mackintosh and his wife, Margaret MacDonald, had total control over both the architecture and decorative elements, from the exterior to the interior including the design of the cutlery and the waitress’s uniforms. The successful completion of this major restoration project which was led by The Trust, has secured the conservation of the building’s unique heritage and provided a range of opportunities for learning and skills development. Scotland Street School is an exceptionally popular Mackintosh attraction for old and young alike - and it’s free! Designed between 1903 and 1906, it was Charles Rennie Mackintosh’s last major commission in Glasgow and displays the mature architect’s genius to perfection. 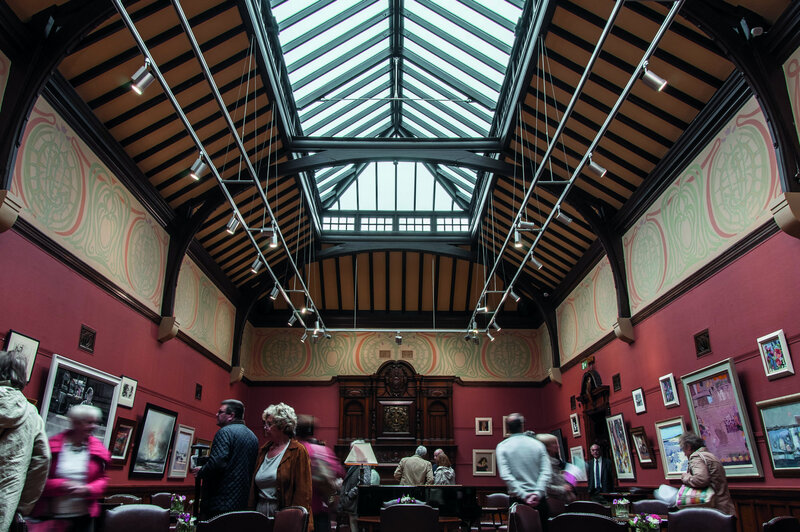 Stand and marvel at the impressive leaded glass towers, the magnificent tiled drill hall, the carved stonework and his mastery of the interplay of light and space. A functioning school until 1979, it now offers visitors a fascinating glimpse into education in Glasgow in the past. Reconstructed classrooms tell the story of what school days were like in the reign of Queen Victoria, right through to the 1960s. 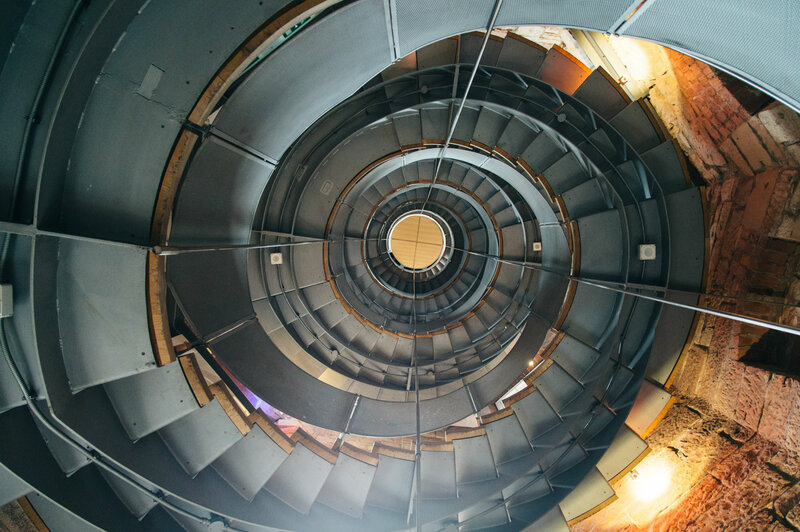 2019 marks the 20th anniversary of the opening of The Lighthouse, Scotland's Centre for Design and Architecture. Originally designed by Mackintosh in 1897 for The Herald newspaper - The Lighthouse in Mitchell Lane is a great starting place to learn about Mackintosh and his work with the Mackintosh Interpretation Centre providing informative timelines, models, photos and drawings detailing his life, work and lasting legacy. 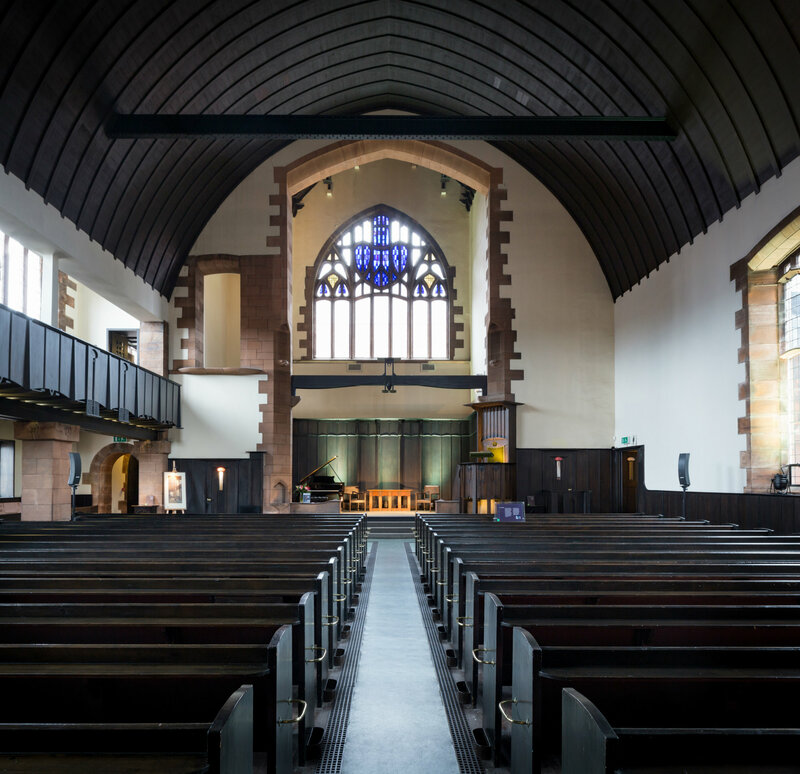 The only church designed by Mackintosh, this stunning venue showed an exhibition of Mackintosh’s drawings from his travels in Italy and other activity including dance, music and art events; workshops, walks and talks. Mackintosh Queen's Cross Church is celebrating its 120th anniversary in 2019. 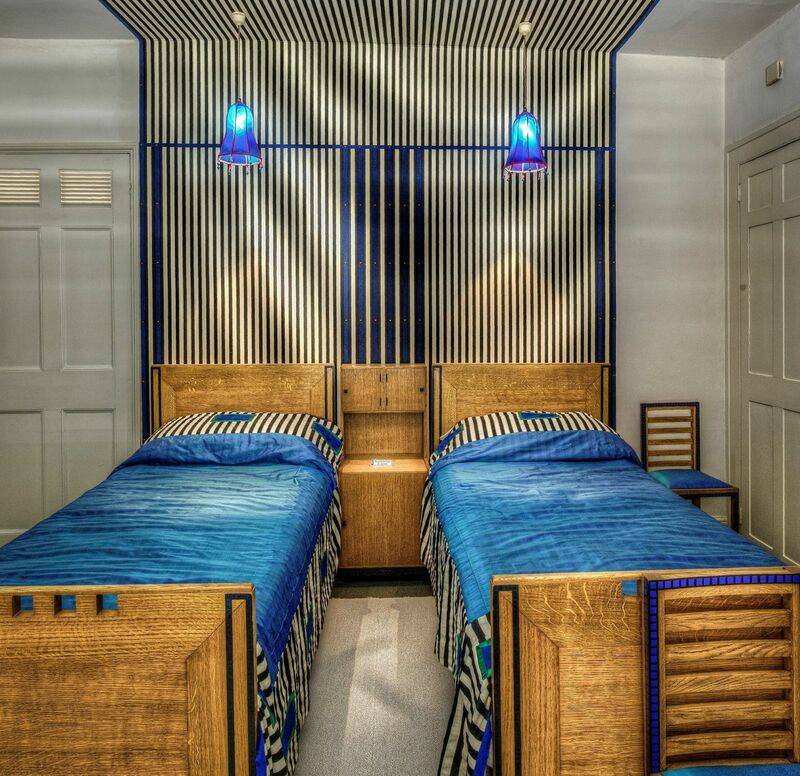 Home to an unrivalled collection of work by Charles Rennie Mackintosh and his wife, the artist Margaret Macdonald Mackintosh featuring a meticulous and stunning re-assemblage of the principal interiors of their Glasgow home at nearby Southpark Avenue. A new Mackintosh interpretation centre opened at the Mackintosh House in summer 2018. 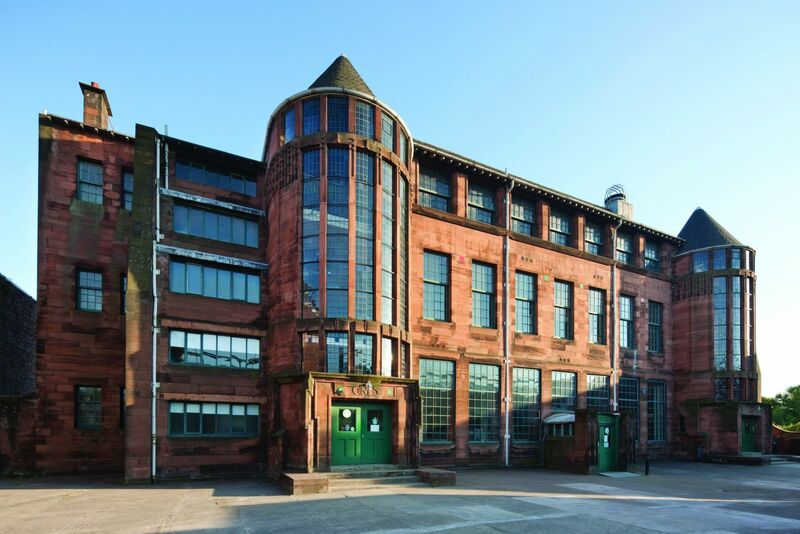 Dating from 1894 and recently re-discovered as Mackintosh’s first complete building, the Mackintosh Club in Helensburgh near Glasgow will celebrate its 125th anniversary in 2019 with an exciting development project. 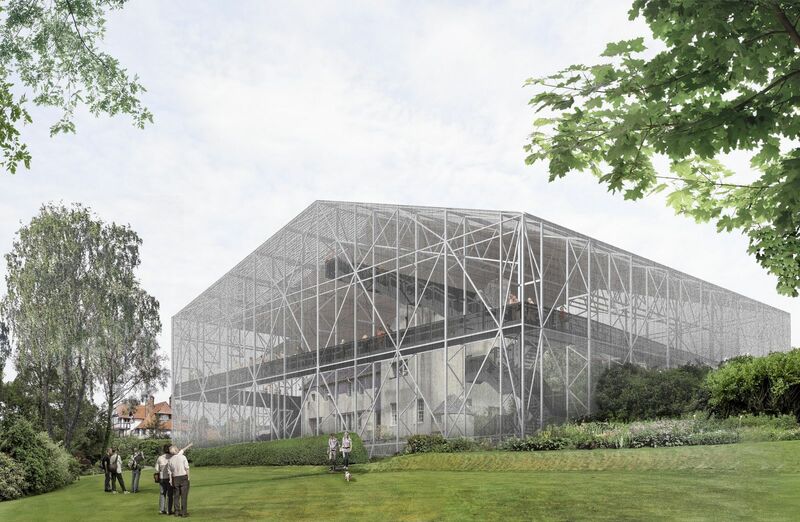 Approved plans to incorporate a 4-level gallery, spiral stairwell, bespoke gesso panel, studios and a roof-top terrace to create a first class visitor centre within this Mackintosh hidden gem will begin in spring 2019 with work scheduled to be completed in September 2019. Mackintosh’s finest domestic work was built in Helensburgh between 1902-1904 for the publisher Walter Blackie. The Hill House will re-open in April 2019 after completion of an innovative box structure, which will envelop and protect the building from wind and rain allowing it to dry out and for crucial conservation work to take place. The creation of special walkways within the box shelter will also allow visitors to see the Hill House from a completely new perspective including rooftop level. On 23 May 2014 a fire damaged the west wing of the Mackintosh Building including some studios, the Library and some archival stores. A full restoration to return the building to Mackintosh’s original design, was underway, due to complete in 2019, when a second major fire took hold of the Mackintosh Building on 15 June 2018. Whilst work takes place to stabilise the site, GSA’s visitor centre, shop and exhibitions spaces in the neighbouring Reid building are currently closed to visitors. 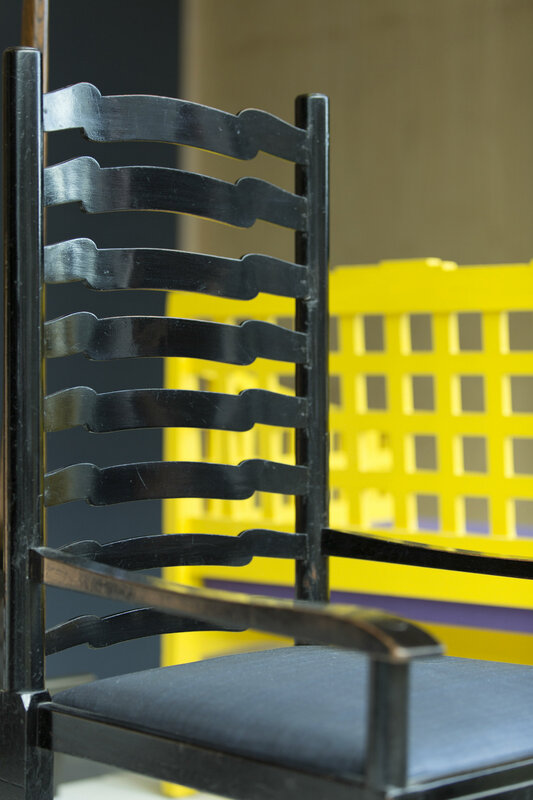 Daily Mackintosh at the GSA Tours featuring the Schools collection of original Mackintosh furniture housed in the Reid building, and Mackintosh’s Glasgow Walking Tours, delivered by GSA’s guides, also cease to operate during this closure period. For upcoming events, lectures and degree shows at The Glasgow School of Art, please view the GSA's events calendar. Unseen for 50 years, Charles Rennie Mackintosh’s Oak Room is the largest of Miss Cranston’s Ingram Street Tearooms and has been conserved and installed as the centrepiece of the new V&A Dundee’s Scottish Design Galleries. The new museum opened to the public in the second half of 2018. The conservation of the Oak Room is a collaboration between Glasgow Museums, V&A Dundee, and Dundee City Council. The project has been made possible by a long-term loan from the collections of Glasgow City Council, grant funding from the Heritage Lottery Fund and other fundraising.